My greatest strength is… common sense. I’m really a standard brand — like Campbell’s tomato soup or Baker’s chocolate. 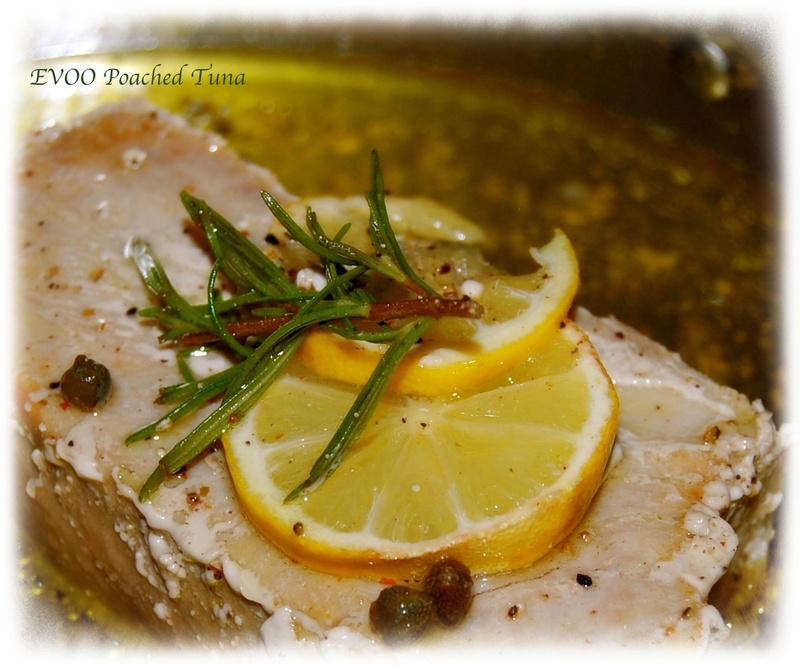 Olive oil poached tuna is such a treat and when the oil is flavored with briny capers, fresh lemon, a sprig of rosemary, salt and pepper it can be used for a salad or in this case an Italian style tuna sandwich. Heat all of the ingredients over medium heat, don’t boil the oil, slip the tuna steak into the hot oil and spoon the oil over the tuna for 3-4 minutes, turn the steak over and bathe for another 4 minutes. If you look at the side of the steak you can see a pink streak in the center. If you like well done tuna continue poaching for another 3 minutes on both sides or until the pink streak disappears. 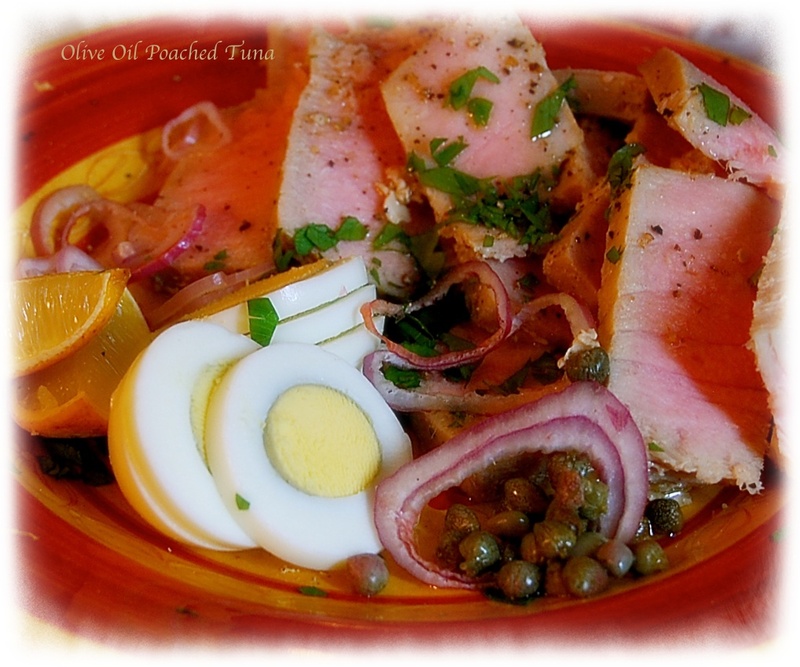 This tuna is great to have on a salad nicoise or in a simple pasta dish. Previous Previous post: Marisa’s Pork Tenderloin Cutlets.